Doctors are raising concerns about Hillary Clinton’s recent pneumonia diagnosis and treatment, suggesting a case of the disease that causes a patient to collapse should be treated more seriously. Executive Director of the Association of American Physicians and Surgeons Dr. Jane Orient, who previously said Clinton’s coughing fit last week appeared more serious than allergies, spoke to Breitbart News during a phone interview on Monday, the day after Clinton had to leave the 9-11 memorial service in New York City due a health episode, which was caught on a video. The video appears to show the former secretary of state stumbling and possibly fainting — or collapsing — as she was placed into a van. Initial reports suggested the former first lady fainted, but Clinton denied losing consciousness during an interview with CNN following her health scare. Clinton’s campaign initially left the press in the dark about what occurred at the 9-11 ceremony, but nearly two hours later, the campaign blamed Clinton’s health episode on the former first lady being overheated. Later in the evening, Clinton’s doctor Lisa Bardack issued an official statement, explaining that Clinton had been overheated and dehydrated. The statement revealed Clinton had been diagnosed with pneumonia on Friday. “Secretary Clinton has been experience a cough related to allergies. On Friday, during follow up evaluation of her prolonged cough, she was diagnosed with pneumonia. She was put on antibiotics, and advised to rest and modify her schedule. While at this morning’s event, she became overheated and dehydrated,” the statement read. She said that not all cases of pneumonia are contagious. “We don’t really know what sort of pneumonia she supposedly has,” Orient noted. What I’m much more concerned about is her known past history of serious things like the concussion, the traumatic brain injury that can have long term consequences that it affects her memory — the ability to read or to think — or the blood clot in one of the main veins the transverse sinus that drains her head. Orient pointed to past videos showing Clinton with “odd facial expressions and so on,” suggesting the facial expressions raise questions about seizers, which she says can be a long-term consequence of traumatic brain injury. Dr. Dan Kassicieh, who previously spoke to Breitbart News about Clinton’s head injury, speculated that Clinton’s episode at the 9-11 memorial wasn’t normal and appears to be more than dehydration. Kassicieh, who is a registered Republican and has run his practice in Sarasota, Florida for more than 20 years, is a doctor of osteopathic medicine. “I see dehydrated people everyday. 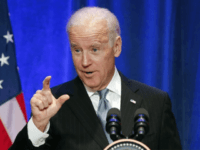 They do not have collapses as Hillary has done on more than one occasion,” he noted. Kassicieh says the fact that Clinton admitted to having dizzy episodes in the past, which was also confirmed by Bill Clinton, and has had a reoccurring cough, suggests she has an underlying health concern. “All of these recurrent problems Hillary has strongly suggest that more serious underlying medical problem(s) exist. This long history of having various, poorly described medical attacks bode poorly for her to [serve] as [President of the United States]. 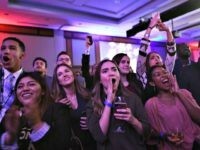 If she cannot handle the stress of a campaign, she certainly could not handle the daily high stress environment that the President is constantly exposed to,” he analyzed. Unlike Orient and Kassicieh, Dr. Erika Schwartz, who is based in New York City, didn’t speculate on any lingering health issues. She disagreed with Kassicieh on the dehydration issue, saying overheating and passing out are typical symptoms from someone who is dehydrated and suffering from exhaustion. She said she would advise a patient suffering from pneumonia to slow down and get some rest. When asked if she sees anything else of concern about Clinton’s health, Schwartz chose not to speculate. “I think that would not be a fair thing for me to say. I don’t take care of her. I would be more than happy to take care of her,” she added. Schwartz previously expressed her medical opinion about Clinton’s pneumonia diagnosis on KABC’s “Midday Live” with Dr. Drew and Mike Catherwood on Monday — along with several other doctors. 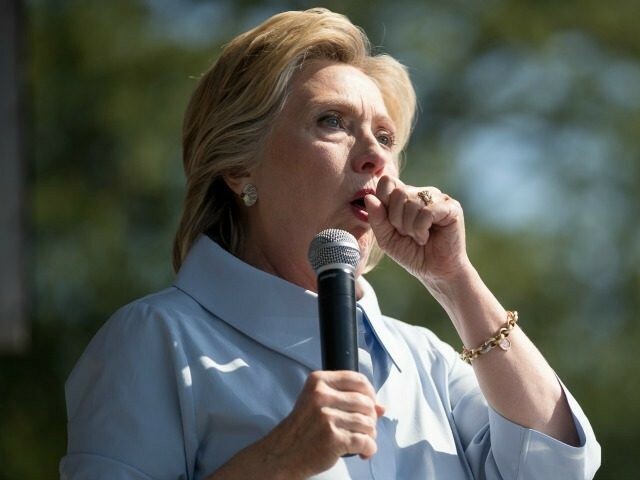 Dr. Drew Pinsky and his co-host, Catherwood, also spoke to a physician who identified himself as a chief medical officer at St. Joseph Hospital in Orange, California, on Monday’s program, where he raised concerns about Clinton’s pneumonia treatment. Catherwood asked the doctor if it’s common for someone with pneumonia to faint. “The hospital,” Drew sharply interrupted. “You don’t tend to see the kind of recovery that Mrs. Clinton seemed to exhibit that day,” the physician added, referencing how Clinton was seen a couple hours later smiling and waving while leaving her daughter Chelsea’s apartment where she’d gone to rest after her health episode.